Join the Minority Business Development Agency for a fireside chat with Miss Jessie's Founder, Miko Branch led by Natalie Madeira Cofield, Founder & CEO of Walker's Legacy. Followed by a unique learning and networking experience with national strategy experts. In addition, hear how you can do business with the biggest buyer in the world: The U.S. Federal Government. On Saturday, April 6 - Natalie Cofield will be a featured speaker at the Reston Chapter of the Link's 2nd Annual Financial Wellness Workshop - Money Matters 2.0. Registration is FREE and open to the public, but seats are limited. Learn more and get your ticket today at www.RestonLinks.org. You do not want to miss this day of financial wellness training. Please join us for a special moment of celebration in recognition of the presentation of 'Advocate of the Year' award to Natalie Cofield as presented by the US Department of Commerce. Natalie Madeira Cofield served as a featured panelists for the Association of Black Foundation Executives and JPMorganChase’s Black Business Forum held during the 2018 Congressional Black Caucus Foundation Conference. “Sisters Inc: Handling our Business” in the Growth/Marketing Track during our 2018 National Urban League Small Business Matters Entrepreneurship SummitHear from some inspirational women CEOs about how they use technology to break through the boys’ club of business and start profitable companies. On July 14th, the ACT-SO participants will participate in the #BrandU Session – an opportunity for students to learn what it means to create and cultivate a brand of their own. 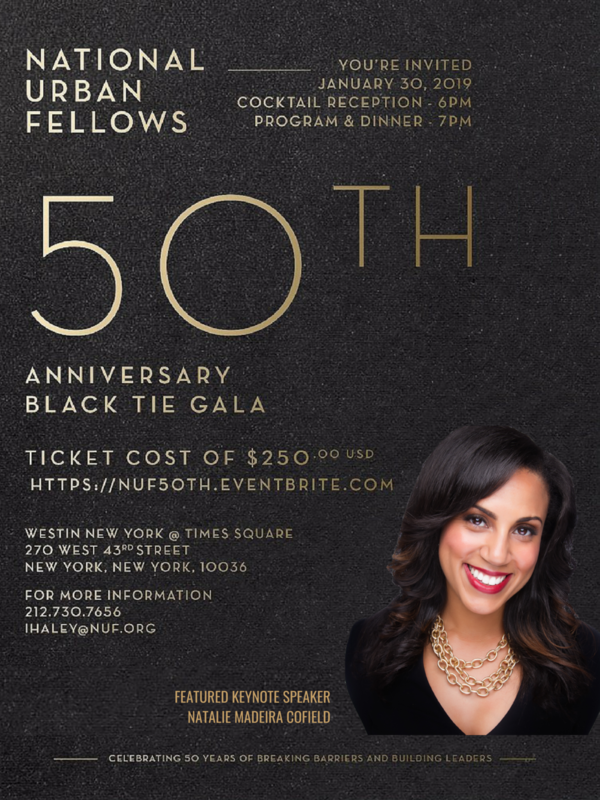 Natalie Cofield, CEO & Founder of Walker’s Legacy a global platform for the professional and entrepreneurial multicultural woman will give the keynote address. This event, like all Startup Yale events, is open to the public and open to attendees of all gender identities.